Pathfinder Personnel changes technology to improve its services. The nature of our industry means that communication is vital. As we all know, the weather often makes ship schedules unpredictable and it’s crucial that we have a good system of communicating labour requirements to our responsive workforce. To help the process, we’re investing in a new scheduling IT system to replace the one that has been in place for ten years. It’s still early days but the switch to a more modern, progressive software package will allow us to communicate in real time with our agency staff, using various methods beyond the conventional telephone system, which we know remains the most popular way of contact. We are also upgrading our digital communications format with a revamped website that will simplify navigation and improve the on-line application process. If you are a Facebook user, I would urge you to join our closed group which also provides you with the latest up-to-date information on schedule changes and our requirements. And to complete our digital upgrade, we’re also becoming increasingly active on Twitter so don’t forget to follow us @pathfinderperso where again you will find real-time information. All those media will become more important as we embark on what promises to be an extremely busy cruise season with our operations now spreading from Liverpool in the North to Falmouth in the West and Southampton and Portsmouth in the South. 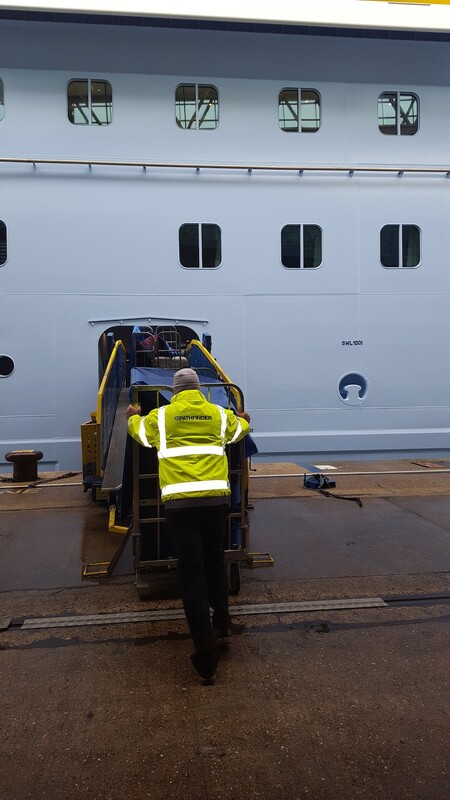 This year, we’re set to support around 150 cruise ship calls throughout the UK and the busy season really gets underway on May 22 with two Royal Caribbean International ships in Southampton and another pair of cruise vessels also docking in Portsmouth. Cruise ship placements are a great way of benefitting from the flexibility that temporary work offers and the benefits in temporary appointments have been illustrated by recent reports from the Office for National Statistics (ONS), Markit/Recruitment and Employment Confederation (REC) and the Bank of England Agents. The ONS said that in the three months to February this year there were 71,000 more part-time workers than in the corresponding period the previous year, while Markit/REC and the BoE Agents both reported that temporary/contract billings rose at their sharpest pace in four months in April – underlining the increase in personnel who want the flexibility agencies like Pathfinder can offer.